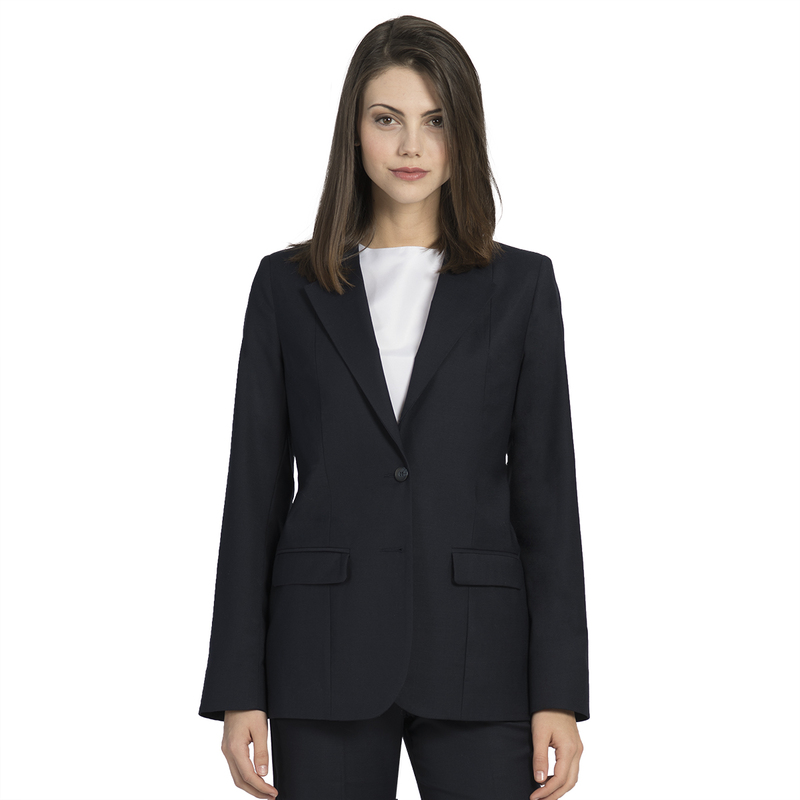 The Women’s UltraLux Collarless Cardigan Blazer, made from our signature washable 100% polyester fabric, is a unique choice for a women’s uniform program. This blazer comes with features like lower besom pockets and a single gold-tone button treated with our Ascolite button security system. The sophisticated V-shaped neckline, princess seams and fitted silhouette are particularly stylish features. 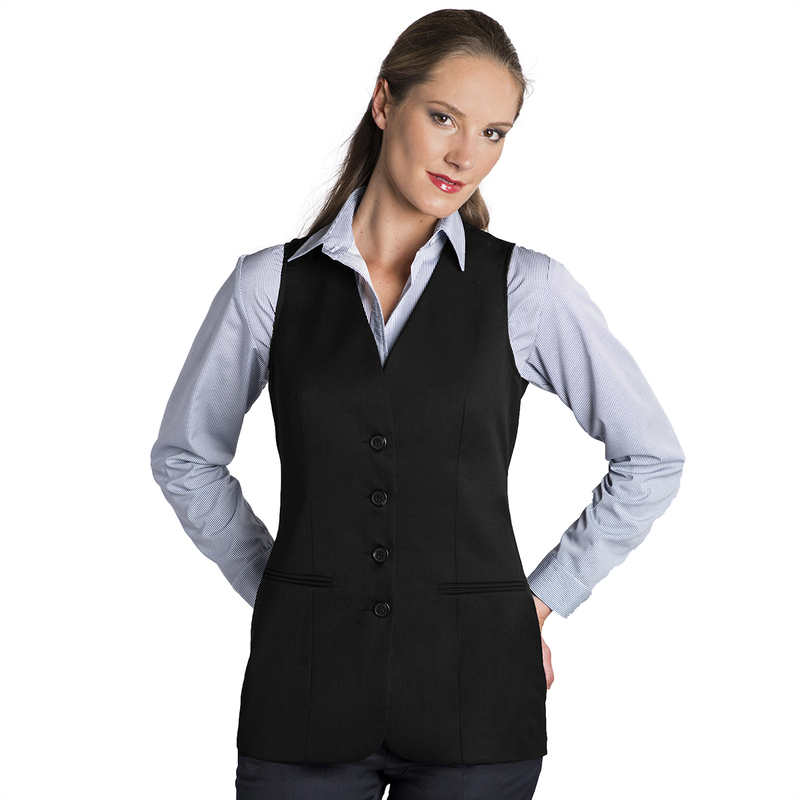 For a different spin on a women’s professional uniform consider the UltraLux Collarless Cardigan Blazer. Try pairing it with a one of our elegant peach skin or silky microfiber. 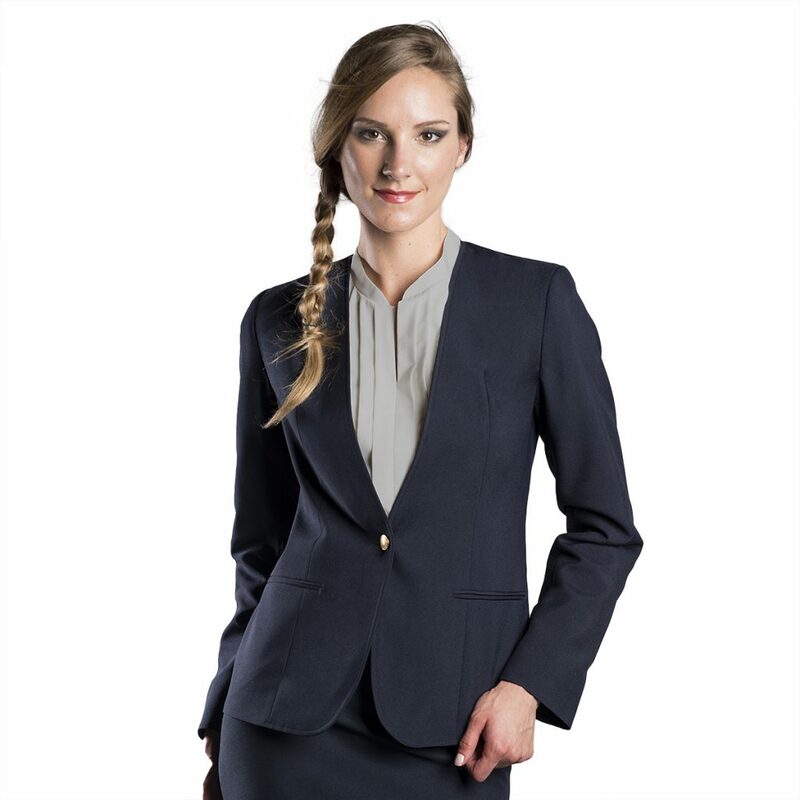 Not only does this blazer give a perfectly professional presentation, but it also feels good for the end-user. An additional plus is that this machine washable blazer saves time and money on laundering which makes everyone happy! Available in navy, burgundy and black, 3 of the most popular uniform blazer colors. For a peek at the rest of the UltraLux Collection click here. Tags: 1-button blazer, Cardigan Blazer, collarless blazer, Ultralux.